Exercise is important for remaining healthy. Apart from losing weight, exercise also improves blood circulation, strengthens bones and increases mental alertness. People who exercise are less prone to depression and anxiety, which increases with age. If you cannot do strenuous exercises or go for a jog, even a brisk walk can do wonders. You should make exercise a part of your daily routine for adding a few more years to your life. The main advantage of exercising is that the risk of developing diabetes, heart problems, osteoporosis, arthritis and high blood pressure goes down considerably. Start exercising at a fixed time everyday. Join a personal training studio or gym. People tend to exercise better and are more motivated when they have a place to work out at outside of their home. Select a form of exercise that you enjoy, so that it is an enjoyable experience for yourself. 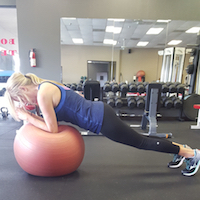 With our Dallas fitness trainers and your efforts you can achieve your fitness goals. Our fitness trainers will create a diet and exercise program specific to your needs that if followed will produce results. You have nothing to lose. Stop thinking about it and give us a call or email us to setup your Personal Training Session and tour of our fitness training studio and gym.